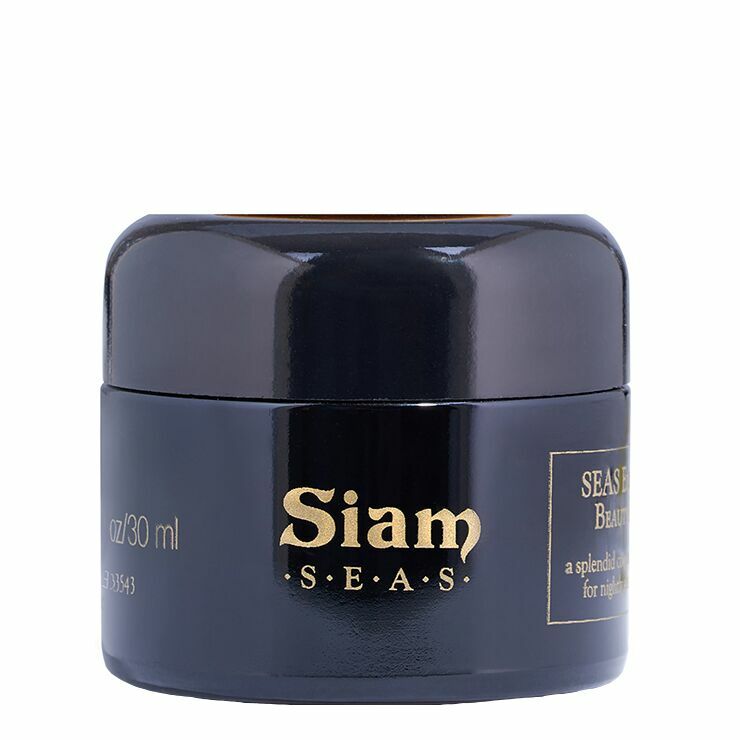 Exotic kokum and mowrah butters blend with natural oils in Siam SEAS Elements Beauty Balm to invite a feeling of rich hydration and nourishment in this deeply hued balm. Lakoocha extract is high in vitamin C and potent antioxidants to give skin a bright, youthful appearance. Select essential oils diminish signs of dullness and dehydration. Ideal for sensitive and acne prone skin types. Massage balm onto clean skin as part of a regular nighttime skincare routine for a clear, balanced, and radiant appearance. This is a perfect balm for sensitive reactive skin. The smell is nice and herbal and not cloyingly floral like some other balms. It sinks right in and the results are quick. Calms down my redness and soothes any dry patches. I bought this after trying the Yen toner from the same brand in a monthly box. I have always wanted to try balms, but thought they would aggravate my oily, congestion and spot-prone skin. I use it after applying the Yen toner and you only need a tiny bit. It is a balm that melts in contact with the skin and a sinks in quickly. It’s light but comforting and I use it at night to calm any irritation. It’s a staple for me and even though it’s pricy it will last ages and is what I come back to whenever my skin is acting up from trying new makeup or that time of the month. Can’t recommend it enough.